Can I Swim With Braid Extensions? "Can I swim with braid extensions?" Braid extensions are great. A heat and glue free attachment means they're kinder to hair and as long as they aren't too small or too tight (or worse, both) then you can wear them without thinning edges; like we said; great... but what about swimming? Or using heat styling tools? Read on and find out. There's nothing to stop you swimming with braided hair extensions (tie the braids into a ponytail or high bun beforehand); it's more about how you care for your growth hair afterwards and here are three post-swimming-with-braid-hair-extension-tips. Chlorine in swimming pools and salt in open water can be damaging to hair if they are not removed after swimming. 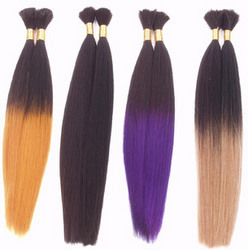 In addition, chlorine can also alter the colour of the human hair braided extensions. After swimming, always wash your braided hair extensions and rinse thoroughly. If you choose to use a clarifying shampoo it's better to choose one free from SLS and SLeS as these can be very harsh on hair and you can read all about that here http://www.odylique.co.uk/natural-organic-hair-products/expert-advice/seven-reasons-to-choose-sulphate-free-shampoo.html. As the growth hair has been exposed to salt or chlorine, either use a leave-in conditioner or condition your braid extensions along the length of your growth hair. 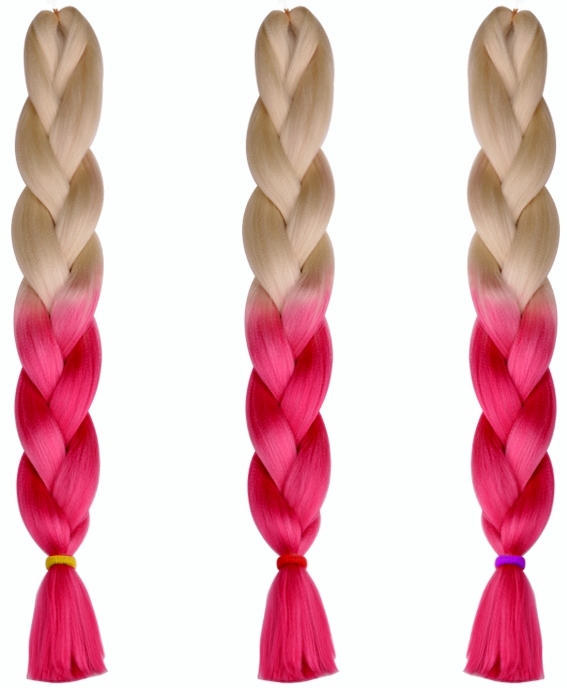 If your braid hair extensions are made from human hair, then condition along the whole length of the extensions. As we mentioned before, the protein is used in conditioners to help repair hair, however protein can also dehydrate hair (as the protein contained in conditioners absorb moisture from the hair) so after washing and conditioning always moisturize your braided hair extensions. Make sure that the braided hair extensions are dried fully as the braids are heavier when wet and this can add stress to your our own growth hair. The salt in perspiration has the same effect as salt in the sea - if it's not washed off, it can dry out your growth hair making it brittle and prone to breaking. "Can I heat style human hair braid tensions?" If the braid hair extensions are made from human hair then yes you can certainly use heat. However we'd always say that the way to use heat (dryers, straighteners and curlers) is to think about how you would use heat on your natural hair: infrequently and a low setting... of course; of course. You can use heated rollers, irons, tongs and crimpers on your human hair braided extensions, but the key is to use them infrequently and at the lowest possible settings. Umm... What does infrequent mean? Well once a week would be infrequent and every other day would be frequent. The fact is, you want to preserve your braid hair extensions and excessive heat will damage and dry out the hair as well as your own. The overuse of heat styling tools can distort or damage the texture of human hair braided extensions as the hair has usually been processed for texture, colour or both. Ideally straightening curly human hair braided extensions should be avoided as it can distort the curl pattern or cause the curls to permanently drop. "Can I heat style synthetic braid hair extensions?" If the hair is heat resistant then yes (always use the lowest possible setting). If the hair is not heat resistant then the answer is no, unless you want to visit melted-braid-extension-ville. If the packaging doesn't say whether the hair is heat resistant, then use a few strands and test with your heat styling tool, on a low setting. Once synthetic hair is damaged by heat, it cannot be repaired so if in doubt, don't use any heat.